On Dec. 6 at the Toyota Automotive Museum in Torrance, 80 people gathered from around the Southland to support Changing the Community Giving Circle in their annual Holiday Toy Drive. The youth that make up the giving circle have been working all year to collect toys and sell raffle tickets to raise funds for organizations such as the Budokan of Los Angeles. 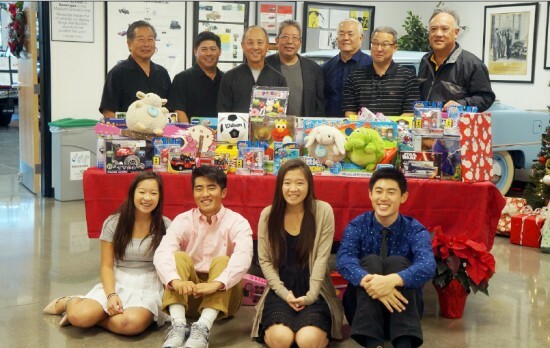 With over 250 toys collected to benefit families at Little Tokyo Service Center’s housing developments, these youth have done an incredible job of showing that no matter how old you are, we can all give and get involved in our community in various ways. As part of AAPIP’s (Asian Americans/Pacific Islanders in Philanthropy) national network of giving circles, Changing the Community is just one of three Asian American/Pacific Islander youth giving circles across the nation. This circle has been extremely lucky to be mentored by Sansei Legacy, another giving circle in AAPIP’s network and shows the spirit of giving that continues to be passed down from the Issei and Nisei that came before us. They are truly demonstrating that everyone can be a philanthropist.